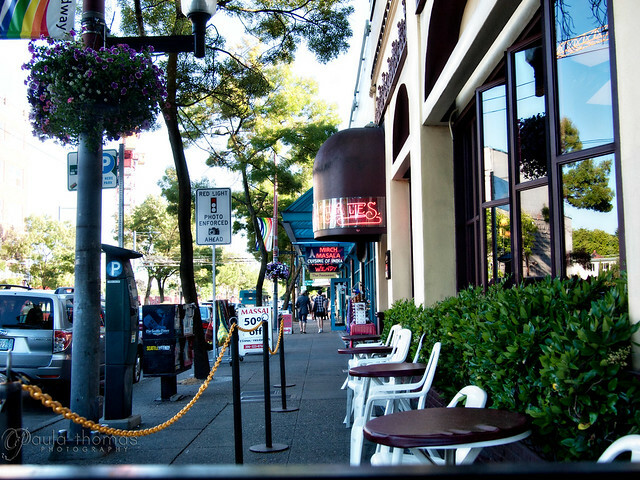 This was my first time at Table 219 on Broadway on Capitol Hill in Seattle. 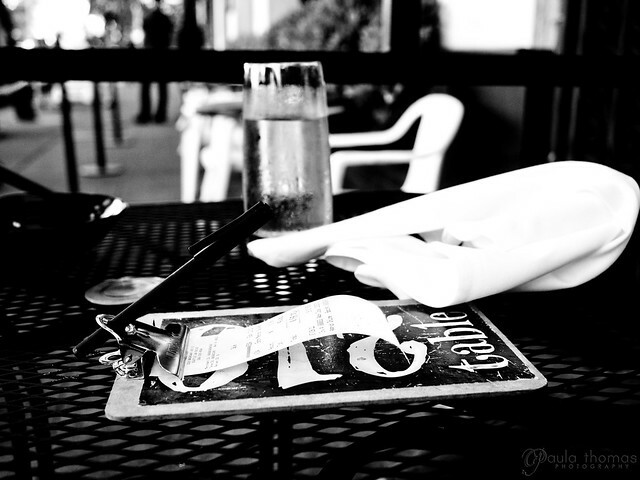 I haven't been out to many restaurants lately due to my candida diet. We needed to find a healthy place to eat before going to Jeremy "Ogalthorpe"'s going away party. I did some googling for organic restaurants in Seattle and came across this page on Urbanspoon for The Best Organic Restaurants in Seattle. 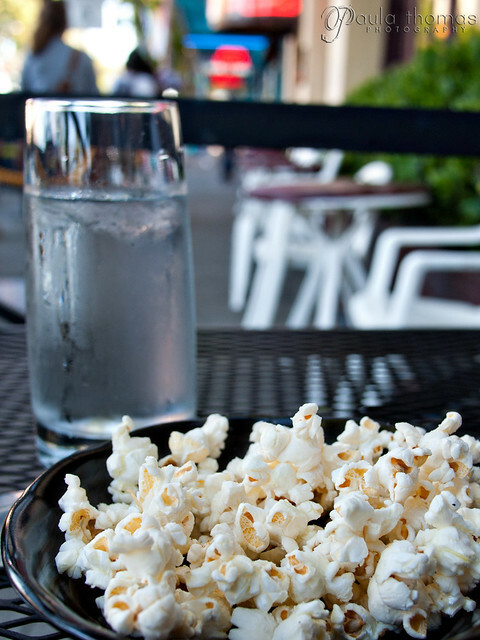 I've been an Urbanspoon contributor for a while and now prefer it over Yelp. I recognized a few of the restaurants in this top 10 list. Most of which I knew were very expensive and wasn't what I was looking for. A few I didn't know much about and looked at their websites for menus and more info. When I came to Table 219's menu I knew this was the place for us. 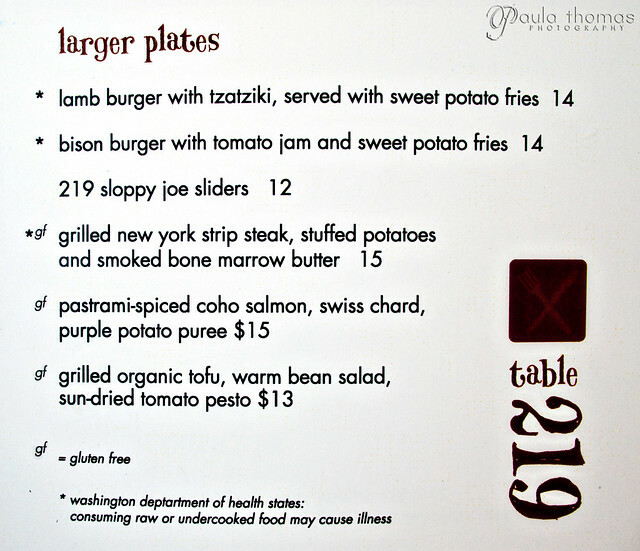 The prices were reasonable (entrees between $12-15) and the menu wasn't huge but looked good and healthy. The menu also indicated which foods were gluten free. Though I'm not gluten free I am limiting my gluten intake as part of my candida diet. We made reservations and showed up a little early. It was a nice day and decided to eat outside for the best light for taking photos. They brought out a small bowl of truffle popcorn which I couldn't eat so Mark got to have it all to himself. It wasn't difficult to choose what to order. It was between the salmon and steak dishes so we got both of those and shared. I ordered the steak medium but it seemed closer to medium-well to us. Medium-well is actually what I normally order so it was fine with me. It was nice and tender. It was served with stuffed potatoes and bone marrow butter. The stuffed potatoes were creatively in the shape of a piece of bone. The potatoes had a little bit of crunch to it. 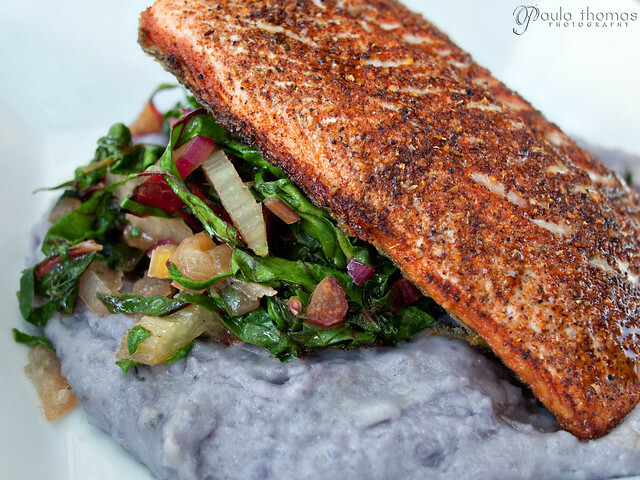 The salmon dish was served over swiss chard and a purple potato puree. The potato puree seemed more like a mashed potato than a puree but it was great. I'm not sure I've ever had purple potatoes before. I haven't really eaten many potatoes since being on this candida diet and potatoes are one of my fav foods so it was a treat to have them two ways. The salmon however was just a little overcooked but I still enjoyed it. I would order either dish again. During our meal we were interrupted by a drunk guy that wanted to tell us some stories. It wasn't long before our waiter came out and shooed him away. 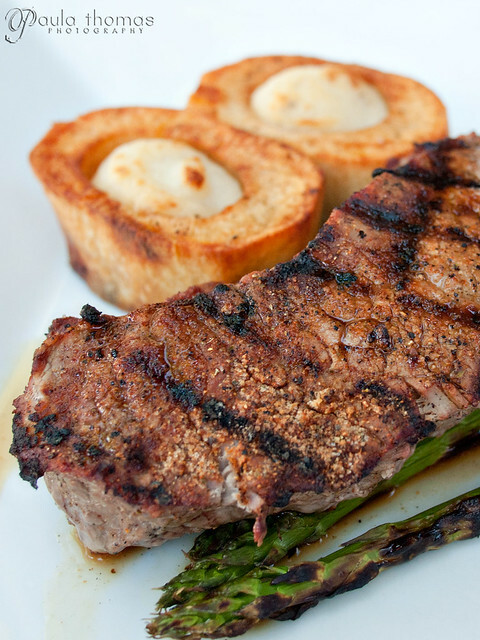 Overall it was a great meal, the prices were reasonable and the service was outstanding. I would recommend it if you haven't tried it.